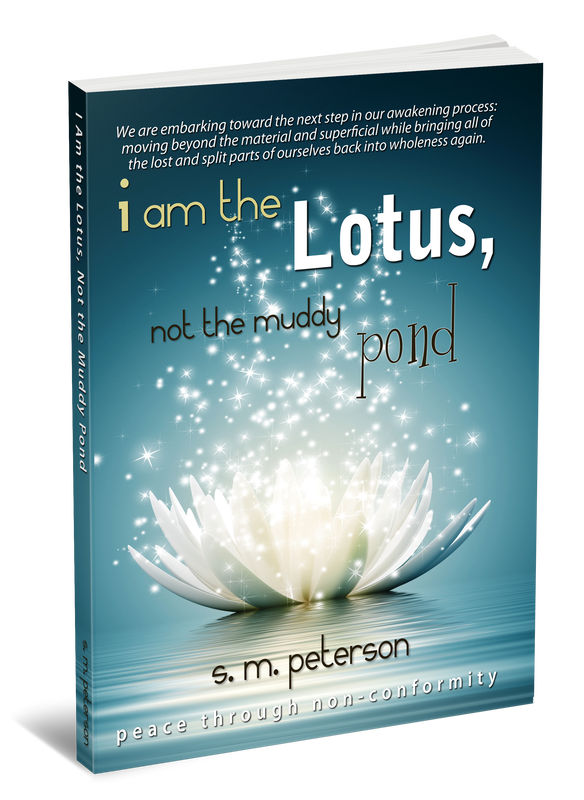 About the Book: “I Am the Lotus, Not the Muddy Pond”I Am the Lotus, Not the Muddy Pond: Achieving Peace Through Non-Conformity is a response to what author Mandy Peterson sees as a philosophical “split” that occurring within the mind and intentions of those who have been part of the New Age movement for the past two decades. Providing numerous examples, she shows us the difficulties that arise when individuals pursue ascension and higher consciousness while being encouraged to remain locked in an unconscious mind-set of materialism that fosters anxiety, paranoia and fear, and which negatively impacts our individual and collective health, happiness and overall well-being. 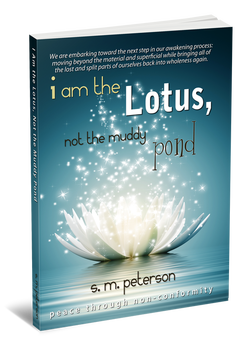 I Am the Lotus, Not the Muddy Pond: Achieving Peace Through Non-Conformity reveals how to un-weave our unconscious, self-destructive thought patterns, so we can rise above the “Muddy Pond” of conditioned beliefs and social conformity, and step into our true, unique and perhaps even radicalessence—“The Lotus”. MYSTIC MANDY (aka Mandy Peterson) is a psychic visionary, empath and EFT Practitioner. 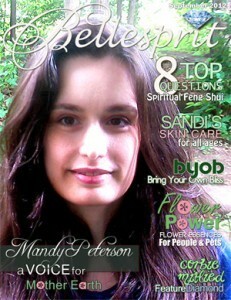 In September of 2012 she was featured in Bellesprit Magazine. The article is titled Mandy Peterson – A Voice For Mother Earth. Mandy is also the author of the book I Am the Lotus, Not the Muddy Pond: Achieving Peace Through Non-Conformity, and a regular columnist for metaphysical magazine, Bellesprit. In past, she hosted her own psychic radio show on CBS Sky Radio called “Voice of Empowerment.” Her Videos on her YouTube Channel have attracted hundreds of thousands of viewers. An artist and graphic designer, Mandy also created the EFT Divination & Chakra Deck, to replace or complement EFT muscle testing (for those clients who felt too uncomfortable with muscle testing).